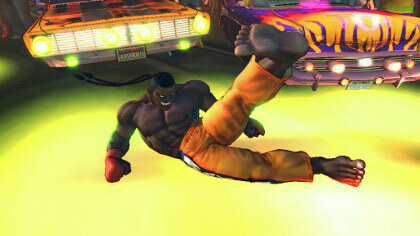 So, how super is Super Street Fighter IV? Last year Capcom made beating up your friends cooler than Tyler Durden. Will the upcoming remix woo crowds again? In the early nineties Capcom made it their business to make endless incremental updates to their flagship Street Fighter franchise. This practice led to the outlawing of “Hyper Super Street Fighter II EX Plus Alpha Turbo Dash Championship Edition Double Upper” jokes in the world of video game journalism. 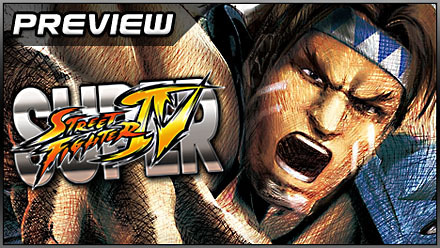 They have since calmed down (or possibly run out of hyperbolic words in the English language), giving the revision of their wildly successful Street Fighter IV come-back title just one very suitable prefix – Super Street Fighter IV. T. Hawk dishes out some pain to El Blaze. Don't feel bad, he deserves it. SSFIV will add a minimum of eight new pugilists to the fray and rebalance the existing 25 characters with updated move-sets and tweaks. Of the three new characters revealed so far, the least surprising are the two missing Super Street Fighter II characters; Jamaican kick-boxer and all-round party guy Dee Jay and everybody’s favourite Mexican giant, T. Hawk. Capcom had already admitted to creating character models for both fellows previously and only time restraints led to their omission from Street Fighter IV. Nobody has ever heard Dee Jay actually deejay, but he's such an awesome guy, you'd feel bad bringing it up. There wouldn’t be much to warrant the Super if there weren’t some new faces, and seductive Tae Kwon Do bad-girl Juri brings more than just a pretty face to SSFIV. 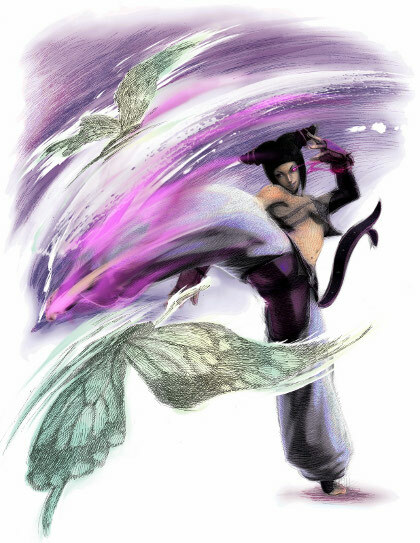 Unbelievably, Juri is the first Korean character ever to appear in a Capcom fighting game and is the result of a great deal of petitioning from the beat ‘em up-hungry country. The five mystery characters have yet to be revealed, though persistent rumours suggest we may see the return of Street Fighter Alpha’s Adon, Cody and Guy, Street Fighter III’s Makoto, Dudley and Ibuki and an Arabic man supposedly obsessed with oil named Hakan. Other changes include the return of the much-loved, though criminally resource-wasting barrel-dropping bonus rounds, an improved lobby system, multiple Ultra Combos and perhaps the greatest tweak of all; the removal of that painfully horrible title track, Indestructable. Representative of your average Korean? Perhaps not. A worthy addition to the series? Most definitely. 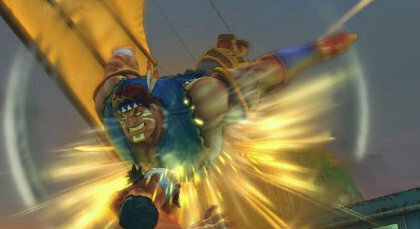 Set for a spring 2010 release, Capcom have decided that the extensive changes warrant a full retail disc release instead of following the DLC route, though it will reasonably priced as an upgrade. 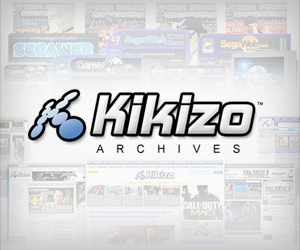 Posted in Previews, Spotlight, and tagged with Capcom, PS3, Street Fighter, Xbox 360.